Garnet black color. Fruity, savory aromas and flavors of smoked brisket, black currant, beet salad in walnut vinaigrette, blackberry relish, and minestrone with a round, lively, fruity medium body and a sleek, medium-length finish evoking impressions of black licorice with well-integrated tannins and moderate oak flavor. A rustic old-world red that will be a perfect companion to Italian night. Bottom Line: A rustic old-world red that will be a perfect companion to Italian night. 85 • Candoni NV Brut, Prosecco DOC 11% (Italy) $14.99. 86 • Candoni 2015 Buongiorno Primitivo Syrah, Puglia IGP 13.5% (Italy) $12.99. 88 • Candoni 2015 Merlot, Venezie IGP 12% (Italy) $12.99. 88 • Candoni 2015 Pinot Grigio, Venezia DOC 12% (Italy) $10.99. 90 • Candoni NV Brut, Prosecco DOC 11% (Italy) $14.99. 90 • Candoni 2016 Pinot Grigio, Venezia DOC 12% (Italy) $11.99. 83 • Candoni 2013 Elviana Red Wine, Veneto IGP 13% (Italy) $12.99. 91 • Candoni NV Elviana Rosé, Veneto IGP 12% (Italy) $14.99. 88 • Candoni 2015 Merlot, Delle Venezie IGP 12% (Italy) $12.99. 89 • Candoni 2015 Buongiorno Red Blend, Puglia IGP 13.5% (Italy) $14.99. 88 • Candoni 2016 Pinot Noir, Provincia di Pavia IGP 12% (Italy) $12.99. 93 • Candoni 2016 Pinot Grigio, Provincia di Pavia IGP 12% (Italy) $12.99. 84 • Candoni 2016 Chianti DOCG 12.5% (Italy) $12.00. 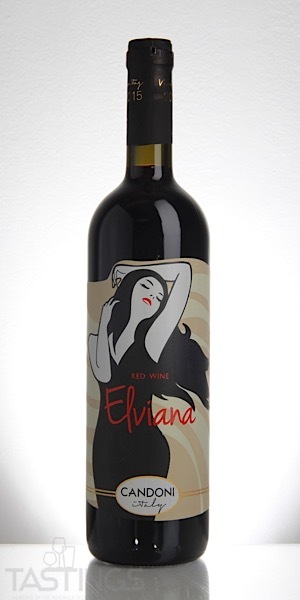 89 • Candoni 2015 Elviana Red Blend, Veneto IGP 13.5% (Italy) $12.00. 88 • Candoni 2016 Merlot, Venezia DOC 13% (Italy) $12.00. 88 • Candoni 2017 Pinot Grigio, Delle Venezie IGT 13% (Italy) $12.00. 83 • Candoni 2016 Buongiorno Organic Red Blend, Terra Siciliane IGT 13% (Italy) $14.00. 88 • Candoni 2017 Organic, Merlot, Tre Venezie 13% (Italy) $14.00. 88 • Candoni 2017 Organic, Pinot Grigio, Provincia di Pavia IGP 12% (Italy) $14.00. There are red wines produced in every region in Italy, from the far north to the island of Sicily in the south. Many of these reds have a good deal of spice, as well as good acidity; some of them are meant for consumption upon release, while others are meant for many years of cellaring. Among the most singular of these Italian regional reds are those from Abruzzo, produced from the Montepulciano grape. Deeply colored with plum and black fruit flavors, these are medium-bodied wines with tobacco and spice notes that are good values and can be consumed upon release. There are also some beautiful reds in Sicily, especially the fragrant and fruit-driven Frappato, which has very light tannins. Nero d'Avola is a spicier, more robust style of Sicilian red. Also in the south, Campania is home to many beautiful red wines. The best of these is Taurasi, a superb red made from the Aglianico grape. Displaying black cherry and dark chocolate notes, this is one of Italy's most sublime and longest-lived reds, with a few examples drinking well at fifty years of age. One other regional red of note is Montefalco Sagrantino from Umbria. Sagrantino is an extremely tannic variety and this is a powerful, earthy red that needs five to seven years to shed its youthful tannic bitterness. 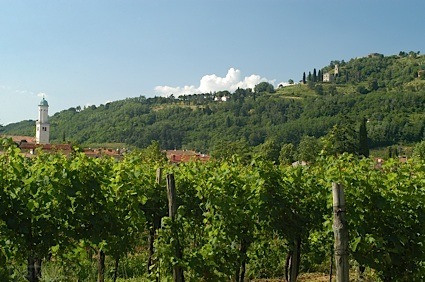 While Taurasi and Montefalco Sagrantino are relatively expensive reds, wines such as Montepulciano d'Abruzzo as well Rosso Conero and Rosso Piceno from the Marche region are excellent values. These regional reds pair well with foods ranging from salumi to grilled chicken or pork to roast veal or steak. Candoni 2015 Elviana Red Blend, Veneto IGP rating was calculated by tastings.com to be 89 points out of 100 on 10/30/2018. Please note that MSRP may have changed since the date of our review.